Carrie Secrist Gallery is pleased to announce a solo exhibition by gallery artist Michael Robinson, on view from February 15 through March 15, 2014. Please join us for a reception for the artist on February 15, 2014 from 5-8 PM. In gallery two, Michael Robinson presents his newest film. The Dark, Krystle (2013) recycles footage from Dynasty, the 1980s primetime soap opera known for its catfights, cliffhanger endings, and glitzy fashion. 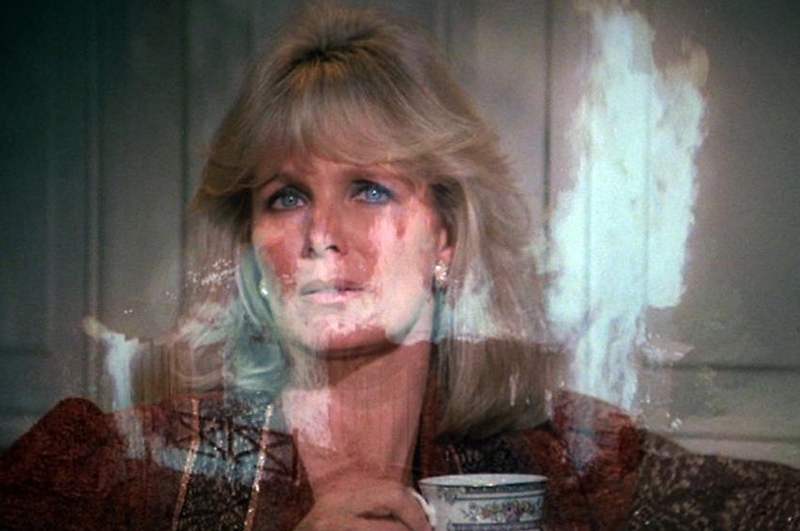 Through intensive editing, Robinson forges a dramatic arc from the infinitely repeated gestures of Dynasty’s iconic central characters: the angelic Krystle (Linda Evans) and the vengeful Alexis (Joan Collins). “If I died in that fire, who would they have buried? I don’t know who I am,” cries Krystle Carrington, in her hospital bed, at the beginning of the 10-minute montage. Building from worry, to fear, to sorrow, to hysteria, Robinson smoothly transitions from one recurring expressive action to the next – turning, wincing, crying, falling down stairs. Krystle’s catalogue of helpless tropes is eventually consumed and replaced by the equally archetypical Alexis – drinking, eye rolling, and drinking some more. In an endless wave of severe hairstyles, coral lipsticks and white diamonds, Alexis’ ominous voice overs taunt and threaten Krystle across the fractured mirror of 1980’s female archetypes. The Dark, Krystle brilliantly re-purposes the artificiality of stock gesture, allowing viewers to see its hollowness and to feel it recharging with new emotional power. Equal parts archival fashion show and feminist morality play, Robinson’s montage rekindles the unfinished business of identity, consumption, and excess in 1980’s pop culture. Michael Robinson (American, b. 1981) has screened work in solo and group shows at festivals, museums, and galleries nationally and internationally including the 2012 Whitney Biennial; International Film Festival Rotterdam; The Walker Art Center; Tate Modern; and the Sundance Film Festival. Previous screenings of The Dark, Krystle include the 51st New York Film Festival; Dirty Looks NYC, Brooklyn; and DINCA Vision Quest, Chicago. 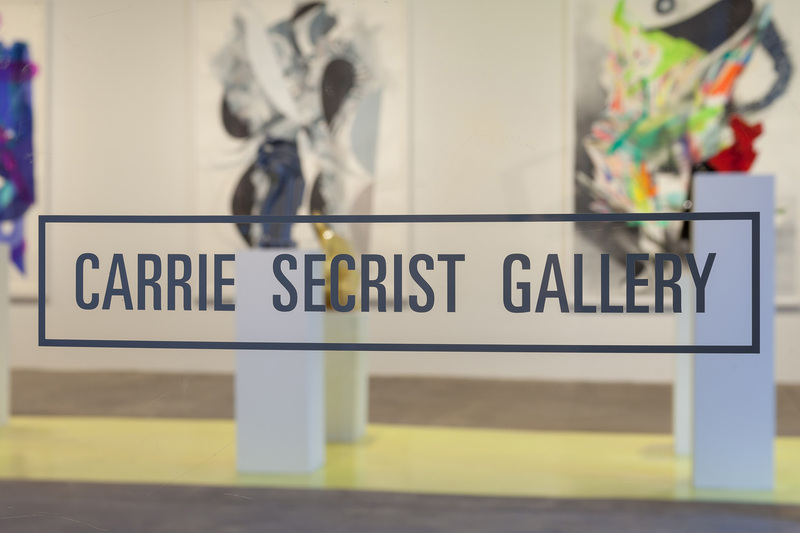 This solo presentation is his second with Carrie Secrist Gallery, Chicago. For more information, please contact Stevie Greco at 312.491.0917.